"Andrea and her team were an absolute pleasure to work with. Highly recommend them. They communicated thoroughly and were right on schedule." Roberto Granados from Antioch, TN. 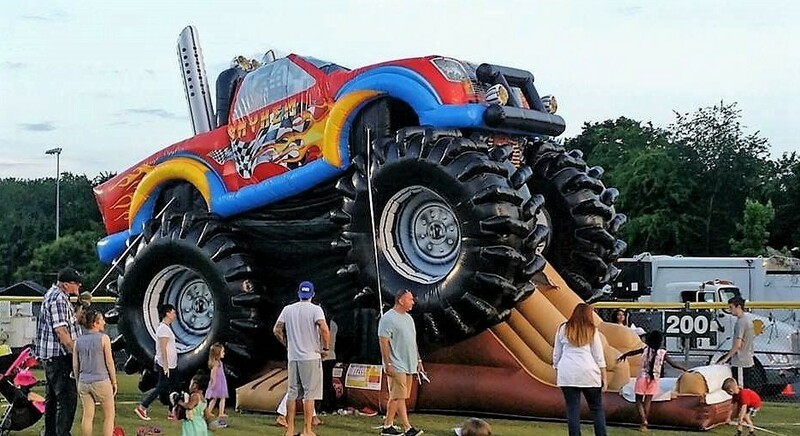 "Great deals on bounce houses and after shopping around they had the best prices. Definitely recommend for parties." Chonta L. from Nashville, TN. "Jumping Hearts made our grandson's 3rd birthday a success! I would recommend this company to anyone who wants their party to be a dream party. Thumbs up!" Keri C. from Nashville, TN. "Wonderful experience! We were lookingfor a new rental company, and we will definitely been using you again." Karmen W. from Nashville, TN. "You're awesome!! See you next year." Franchesca R. from Franklin, TN. "Great company! Thanks for making our party awesome!" Jessica T. from Lebanon, TN. "Thank you so much for staying in constant contact with me and formaking our party a success. You were all so kind and helpful, and we really appreciate it! The next time we need to rent something we will definitely be contacting you." Emily S. from Brentwood, TN. "Could not have been better! Very organized, on time, informative. Best birthday I've ever hosted!" Isis S. from Nashville, TN. "Keep up the great work and positive attitudes." Angie M. from Smyrna, TN. "The crew that came out was amazing. Professional yet kind and funny, I would rent from them again if there is a party or not"
Sara B. from Nashville, TN. "Wonderful people and great product. Will use this company in the future!"